A baptism may be celebrated during any weekend mass. Outside of Mass, baptisms are celebrated at St. Michael Church on the 2nd & 4th Sundays of the month after the 11:00a Mass, at 12:00p. At Ss. Peter & Paul Church, baptisms are celebrated on the 3rd Sunday of the month after the 9:30a Mass, at 10:30a. Schedule with the Parish Office at least two weeks in advance at 937-295-2891. A pre-baptismal workshop is offered in our pastoral region four times a year. 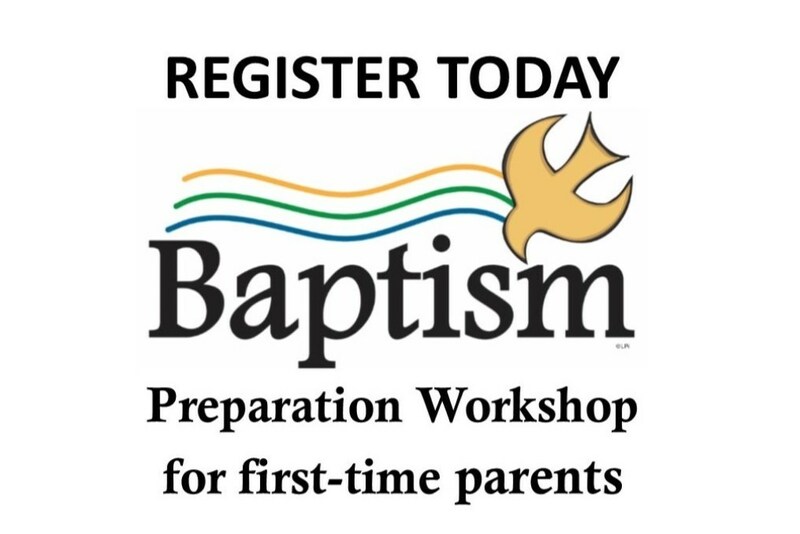 All first-time parents are expected to participate in a workshop before scheduling a baptism. You may register for the workshop below, or you may call the parish office to register for the workshop 937 295-2891. What workshop would you like to register for?